What is iron deficiency anaemia? Anaemia occurs when you have a level of red blood cells (RBCs) in your blood that is lower than normal. Iron deficiency anaemia is the most common type of anaemia, and it occurs when your body doesn’t have enough of the mineral iron. Your body needs iron to create a protein called haemoglobin. This protein is responsible for transporting oxygen to your body’s tissues, which is essential for them to function effectively. When there isn’t enough iron in your bloodstream, the rest of your body can’t get the amount of oxygen it needs. What causes iron deficiency anaemia? Consuming too little iron over an extended amount of time can create a shortage in your body. Foods such as meat, eggs, and some green leafy vegetables are high in iron. Because iron is imperative during times of rapid growth and development, pregnant women and young children may require even more iron-rich foods in their diet. In women of childbearing age, the most prevalent causes of iron deficiency anaemia are heavy menstrual bleeding and blood loss during childbirth. Specific medical conditions can cause internal bleeding that can lead to iron deficiency anaemia. Examples include a stomach ulcer, Intestinal polyps, or colon cancer. Frequent use of pain relievers, such as aspirin, can also cause bleeding in the stomach. What Are the Symptoms of Iron Deficiency Anaemia? The symptoms of iron deficiency anaemia can be very mild at first, and you may not even notice them. According to the American Society of Hematology (ASH), most people don’t apprehend they have mild anaemia until they have a blood test. How Is Iron-Deficiency Anaemia Diagnosed? In iron deficiency anaemia, the hematocrit and haemoglobin levels are low. Also, RBCs are usually smaller in size than normal. A CBC test is often performed as part of a routine physical examination. It’s a good indicator of a person’s overall health. It may also be performed routinely before surgery. This test is useful to diagnose this type of anaemia since most individuals who have an iron deficiency don’t realise it. Ferritin levels – Ferritin is a protein that helps with iron storage in your body. Low levels of ferritin indicate low iron storage. Transferrin – Transferrin is a protein that transports iron. A TIBC test is used to determine the amount transferrin that’s carrying iron. What if you have symptoms of low iron, but your doctor says your test results are normal? If you suspect low or high levels of iron, then check your ferritin test result. The ideal range of ferritin is 50 to 70 ng/ml. What Are the Potential Health Complications of Iron Deficiency Anemia? When you’re anaemic, your heart has to pump more blood to make up for the small amount of oxygen that can lead to irregular heartbeat. In severe cases, it can lead to heart failure or an enlarged heart. In severe cases of iron deficiency, a child may be born prematurely or with a low birth weight. Most pregnant women take iron supplements as part of their prenatal care to prevent this from happening. Infants and children who are severely deficient in iron may experience a delay in their growth and development. They may also be more likely to experience infections. How Is Iron-Deficiency Anaemia Treated? 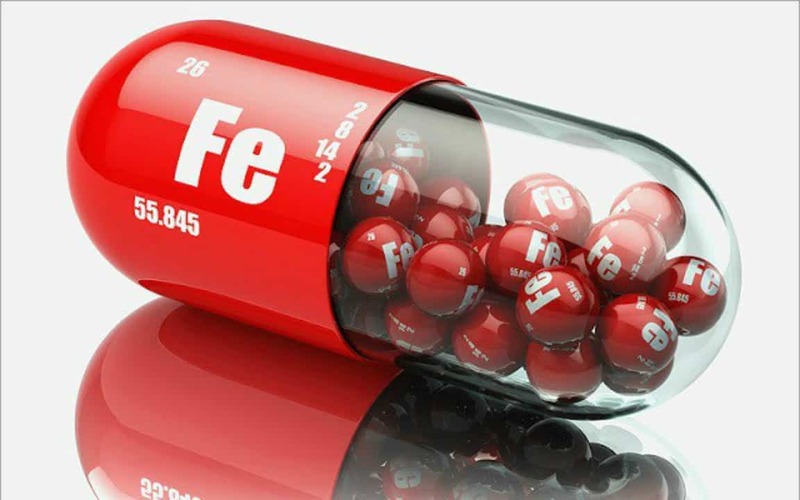 Iron tablets can help restore iron levels in your body. If possible, you should take iron pills on an empty stomach, which helps the body absorb them better. If they upset your stomach, you can take them with meals. You may need to take the supplements for several months. Iron supplements may cause constipation or stools that are black in colour. A non-constipating form of iron is iron glycinate. Additionally, vitamin C helps your body absorb iron. If you’re taking iron tablets, I suggest taking the pills along with a source of vitamin C, like a glass of orange juice or citrus fruit. If you have any questions about this article either post them in the comments section below or email using the form on my contact page.